Although the specific functions of sleep are not completely known, it is generally accepted that sleep is an active process that is as vital as food, water and air. Sleep is crucial for good health in general, for optimal physical and cognitive performance in particular. Sleep needs and quality are individual and may be altered by many behavioral, psychological, social and environmental factors. Personal fitness and athletic performance are also individual characteristics derived from both physical and psychological features. 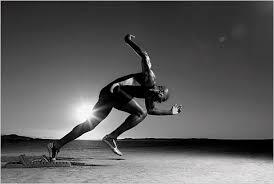 Thus the interdependence between sleep and athletic capabilities and performance becomes a subject of great interest. An athlete’s lifestyle involves alterations in diet, frequent changes in ambient light, temperature or time zone due to travel or anxiety related to performance challenges. Clearly all of these factors may have negative impact on sleep. Poor sleep in its turn affects athletic abilities and achievements. Competitive athletes and their coaches are aware of the influence sleep has on performance; however they are less inclined to address the impact of intensive athletic activity has on sleep. There are not extensive studies to research the connection. Most studies are based on small number of participants with little standardization. Rather, much of the knowledge is based on studies coming from army members, transportation crew, and frequent travelers. Sleep requirements are individually determined. However there is an extensive base of evidence indicating that the decline in both cognitive and psychomotor function is directly correlated with the hours of sleep deprivation, with different subjects having different reactions to the same amount of sleep deprivation. Critical metabolic and immune processes occur during specific sleep stages. Thus the physiologic recovery during different sleep states is crucial for the athletes’ ability to train at his/her best capacity to reach peak results. The overtraining syndrome, manifesting as chronic training fatigue that limits athletic capacities, is the result of musculoskeletal, endocrine and immunologic imbalance. Thus the individual sleep needs of an athlete and the ongoing sleep loss connected with the extensive training and competitions become a critical factor that affects recovery and performance as well as the susceptibility to overtraining. Thus determining the athlete’s sleep needs becomes important. Not only the amount of sleep is important, but also the quality of sleep is crucial for performance. Sleep quality deteriorates as a result of sleep fragmentation (recurrent sleep disruptions throughout the night, without full awakening) or of a hyperaroused state, with recurrent full awakenings. Thus athletes who complain of being not refreshed after sleep may suffer from being tired because of their training, but also by not achieving the full benefit of a good night sleep. Determining the athlete’s sleep quality is another important factor. The internal clock affects not only the specific time of optimal performance during the day, but also has direct influence on sleep duration and sleep quality. Training schedules and competition times, as well as frequent travel across time zones represent additional factors that influence the ability of performance athletes to sleep the right amount of at the most suitable individual time. Thus personal eveningness (owl)/morningness (lark) preferences have to be evaluated and taken into account to allow optimal training and best performance of an athlete. It is difficult to assess sleep needs and quality in the real life of a competitive athlete. Trying to assess during planned periods without training will result in a completely different picture than during periods of regular training, or during competition times. Sleep needs differ in these phases and sleep quality is likely changing with the level of activity and anxiety involved. Thus, the same way training schedules and intensity is managed, and nutrition and fluid intake monitored and changed according to daily requirements, sleep times and quality become as important for the competitive athlete. SleepRate has an easy to use technology that allows people to evaluate their sleep duration, quality and structure based on continuous heart rate monitoring during the night using a familiar fitness chest strap and a mobile phone. The technology is based on the interdependence between sleep and the physiologic control of Heart Rate by the autonomic nervous system and it has been extensively validated. The added value is that it correlates between environmental factors, sleep quality and sleep disruptions. It allows people to monitor individual stress levels at given times, before sleep, at wake up or during the night. Subjective information is corroborated with the measured variables and allows individualized sleep coaching to guide people on how to get more and better sleep.